From ages 0-7, Kindermusik supports the early childhood standards and requirements for “high quality programs” as defined by the National Institute for Early Education. Bring Kindermusik to your center and watch your enrollment soar! Thousands of parents come to us weekly in search of Kindermusik classes in their area. 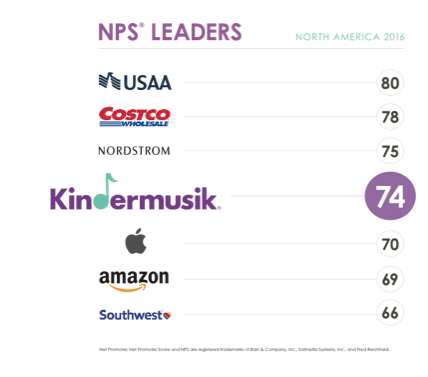 In fact, millennial parents recently ranked Kindermusik higher in satisfaction among other must-have brands like: Amazon, Apple, and Starbucks. 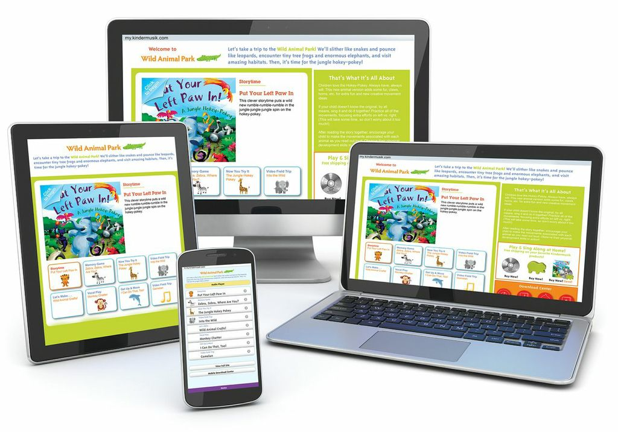 With five developmentally appropriate levels to choose from for newborns through seven-year-olds, each activity provides the groundwork for building language, literacy, math, and social-emotional skills. 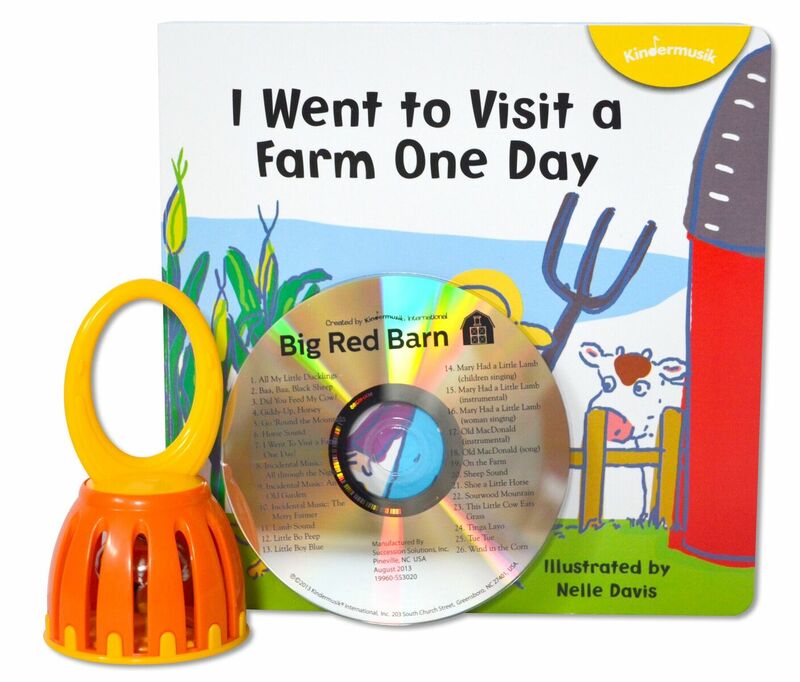 Each week, children will journey on a fun-filled 30-minute adventure building an extensive take-home library filled with hundreds of their favorite songs, stories, and games. Translations available in English, Spanish, Portuguese, and Chinese. Choose from standard physical or digital options.